This piece by Simon J. Cook does happen to mirror some of my own thoughts on the place and benefit of any re-imagining of Tolkien’s vision of Middle-earth within the world. Still, as much as Tolkien’s letter to Waldman (Letter #131) opens Middle-earth to new perspectives, and vivid reinterpretations, I believe it’s equally important to acknowledge the flipside: missives sent to Allen & Unwin (Letter #188) and Forest J Ackerman (Letter #210) show Tolkien also cared deeply about what others did with his works. I think it’s a balancing act that will never be resolved to everyone’s satisfaction. Let us begin by aping the schema of Jackson’s bloated cinematic interpretation and offering three separate points in his defence. Firstly, New Zealand actually looks the part. It looks like the ancient Northern Europe in which Tolkien situated the Shire, Bree, Rivendell, Mirkwood and the Lonely Mountain. Most profoundly, the icy waters that surround and autumn snowflakes that fall upon Lake Town evoke those Baltic shores that Tolkien regarded as the original homeland of the English people. Now the other side of the coin is that New Zealand is not a landscape rich with the tamarisk, asphodel, olive and bay reminiscent of the Southern European lands of Rohan and Gondor. 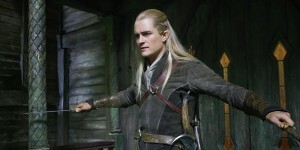 But if The Hobbit movies make Jackson’s Lord of the Rings look geographically challenged, that is not here our concern. Secondly, Jackson is in a sense true to Tolkien’s mature authorial intention. After completing The Lord of the Rings our professor got it into his head that he should redraft The Hobbit, thereby transforming a whimsical children’s fairy-story into a suitable overture to his epic tale of the end of the Third Age. Personally, I love this particular children’s tale above all other literature and am mightily relieved that this redrafting did not come to pass. But it cannot be denied that Jackson, in bringing the story of Bilbo Baggins into greater narrative and stylistic harmony with that of Frodo, is following a path first pointed out by Tolkien. 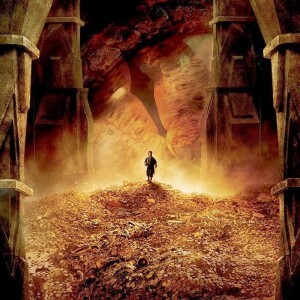 Indeed, some of the material in the movies not found in the original book was nevertheless penned by Tolkien – for example, the meeting of Gandalf and Thorin at Bree, with which the second movie begins (‘The Quest of Erebor’ in Unfinished Tales). Thirdly, in his famous letter to Milton Waldman, Tolkien surely gave a creative green light to the artistic license of Jackson (and those others who will come after him).